Morse code is a method of transmitting text information as a series of on-off tones, lights, or clicks that can be directly understood by a skilled listener or observer without special equipment. It is named for Samuel F. B. Morse, an inventor of the telegraph. The International Morse Code encodes the ISO basic Latin alphabet, some extra Latin letters, the Arabic numerals and a small set of punctuation and procedural signals (prosigns) as standardized sequences of short and long signals called “dots” and “dashes”, or “dits” and “dahs”, as in amateur radio practice. Because many non-English natural languages use more than the 26 Roman letters, extensions to the Morse alphabet exist for those languages. 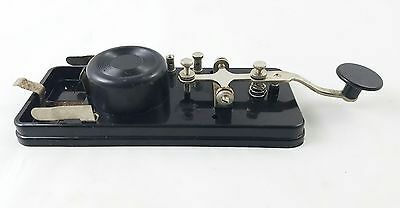 Morse code is used by some amateur radio operators, although knowledge of and proficiency with it is no longer required for licensing in most countries. Pilots and air traffic controllers usually need only a cursory understanding. Aeronautical navigational aids, such as VORs and NDBs, constantly identify in Morse code. Compared to voice, Morse code is less sensitive to poor signal conditions, yet still comprehensible to humans without a decoding device. Morse is, therefore, a useful alternative to synthesized speech for sending automated data to skilled listeners on voice channels. 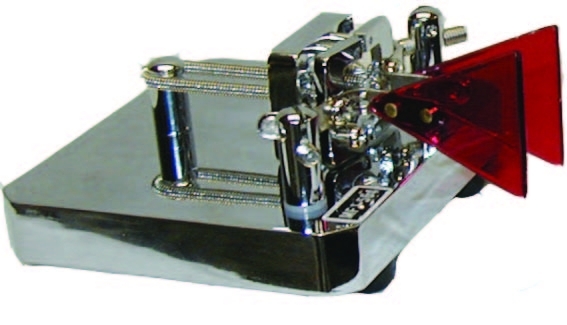 Many amateur radio repeaters, for example, identify with Morse, even though they are used for voice communications. n an emergency, Morse code can be sent by improvised methods that can be easily “keyed” on and off, making it one of the simplest and most versatile methods of telecommunication. The most common distress signal is SOS or three dots, three dashes, and three dots, internationally recognized by treaty.